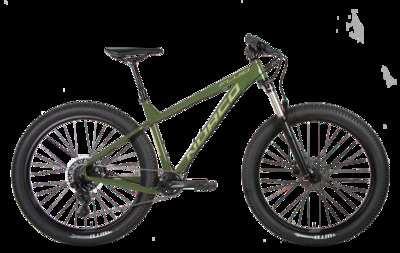 Featuring a responsive aluminum hardtail frame designed around 27.5" Plus and 26” Plus wheels, the Fluid HT offers a fast and efficient ride with capable handling characteristics. With extra-wide 2.8” tires and modern trail geometry including a short, stiff rear end, the Fluid HT snaps around corners, claws up loose technical climbs, and flows down rough, rocky descents. VP Nylon Flat Pedals, 9/16"
Bike Specifications are subject to change without notice. Specifications may not be exactly as shown in photo.